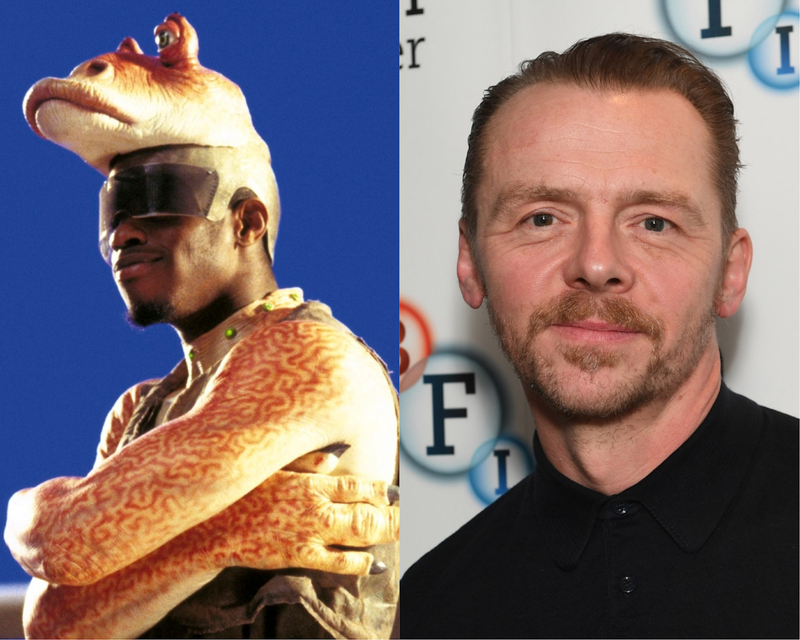 Just a couple of years ago, Mission Impossible and Star Trek star Simon Pegg compared George Lucas making the Star Wars prequels to infanticide and said he had no respect for anyone who enjoyed them. And those were just the latest in a long line of comments Pegg made over more than a decade about his disdain for the Star Wars prequels. The sentiment Pegg espoused was one that many shared, a deep, toxic hatred for those three films, with one character bearing the brunt of their hate: Jar Jar Binks. However, Pegg is now changing his tone. He revealed in a recent interview with Now This promoting Mission: Impossible - Fallout that he now feels ashamed of his comments and the way he treated Jar Jar Binks. His change of heart came after Jar Jar actor Ahmed Best, who pioneered motion captured performance with his role in The Phantom Menace, revealed on Twitter that he had considered suicide following the backlash he faced. "I feel so ashamed of the fact that there was actually a human victim in that. I think most people were regarding Jar Jar Binks like his was a real creature and wailing on him for being annoying or not liking him. But there was a person behind that. And I read that an thought 'Christ, I'm one of those people' and it just makes me feel awful." He also expressed his support for Kelly Marie Tran, who played Rose Tico in The Last Jedi and faced a sexist and racist backlash that resulted in her leaving Instagram, adding, "I feel sorry for Kelly Marie Tran, because she just was in a film. It's a f**king film. That's all it is." While I don't wish to absolve Pegg of responsibility for his past comments, which were truly despicable and represent some of the worst attitudes in fandom, I can also appreciate that he is making an effort to improve both himself and fandom. It's not about whether or not you like or dislike the prequels or Jar Jar or Rose Tico or The Last Jedi, it's about how you treat other people. And as we've seen with both Best and Tran, even anonymous comments on social media from people they've never met can have serious consequences. The fact that Pegg is owning up to his mistakes by acknowledging that he was part of the backlash/mob that nearly destroyed Ahmed Best, while also making an effort to discourage that sort of behavior in others is undeniably a good thing. Again, this does not absolve him (or anyone else) of contributing to the toxicity in fandom that we see today. (And frankly, his whole I-didn't-realize-there-was-a-human-victim excuse is super weak). However, it does show that people can change, own up to their mistakes, and work to do better in the future. And it's on all of us, regardless of our past mistakes, to call out hatred and abuse in all it's forms (including, but not limited to, sexism, racism, and homophobia) and work together to make sure fandom is the open and inclusive community that we know it can be.